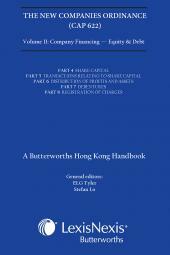 The New Companies Ordinance (Cap 622), A Butterworths Hong Kong Handbook includes five volumes, each examining a particular aspect of Company Law. Each volume contains annotations of a specially selected set of Parts from the Ordinance, complete with an introduction. The series covers Company Formation, Financing, Restructuring Arrangements, Administration and Directors' Duties. The volumes make the new and extensive Cap 622 accessible and manageable for practitioners and businesses. ELG Tyler and Stefan Lo of the Cap 622 rewrite team, Commercial Unit III, Department of Justice, have annotated parts of the Ordinance as General Editors, along with a team of leading experts on Hong Kong Company Law. 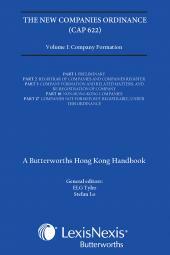 Volume III considers the statutory recognition of the Hong Kong Financial Reporting Standards and the Reporting Standards for SMEs. Cap 622 requires financial statements to comply with the accounting standards applicable to financial statements. Definitions for facilitating reconstructions and amalgamations have been clarified and a new court-free statutory amalgamation procedure for wholly-owned intra-group companies has been introduced. MA (Oxon); Barrister, Lincoln's Inn and Hong Kong; Barrister and Solicitor of the Supreme Court of Tasmania and the High and Federal Courts of Australia; Department of Justice; formerly Professor, School of Law, City University of Hong Kong and District Judge Hong Kong; Senior Assistant Law Officer, Commercial III (Companies Ordinance Rewrite Team), Department of Justice, HKSARG. Professor Tyler came to Hong Kong in 1985 from Australia. He was a professor at The University of Hong Kong from 1985 to 1991, when he became a District Court Judge. He returned to academia in 1994 to City University of Hong Kong and retired from there back to Australia in 2005. In 2007 he returned to Hong Kong to a temporary position in the Commercial Unit, Civil Division, Department of Justice working on the Companies Ordinance Rewrite (The new Companies Ordinance was passed in July 2012). He is now working on the Improvement of Corporate Insolvency Law exercise. 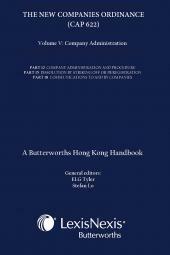 Professor Tyler has lectured and written on Hong Kong Company Law for the past 25 years. Stefan was appointed to the Civil Division of the Department of Justice in 2009 to advise on the Companies Ordinance Rewrite. He was previously Assistant Professor at the School of Law, City University of Hong Kong, where he taught company and commercial law. Stefan has researched and published widely in corporate and securities law in textbooks, treatises, and local and international journals. He is a Research Affiliate of the Sydney Law School's Ross Parsons Centre of Commercial, Corporate and Taxation Law.